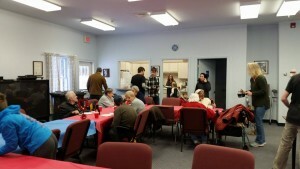 Thank you to the Shaeffer family for hosting Christmas dinner for all the tenants. It truly made the day special for them. In addition the Shaeffer family organized a New Years appetizer party which included a carving station provided by the Linehan family. Many others also donated goodies, I am sorry to not have all your names but we really enjoyed and appreciated. Thank you for helping us start our New Year off with each other. Look what volunteer Bob Welgos built for our residents–a custom designed bookshelf for our library! It is absolutely amazing. Thank you, Bob, from the bottom of our hearts! Our Seniors now have many new large print books thanks to the Chester Library and the Broderick family who delivered and organized them on our new library shelves. We are very thankful to these members of the community, whose time and talents have enriched the lives of our residents greatly. Community volunteers came together to cook pancakes, bacon, sausage, and hot coffee at CASH on the morning of February 15th. 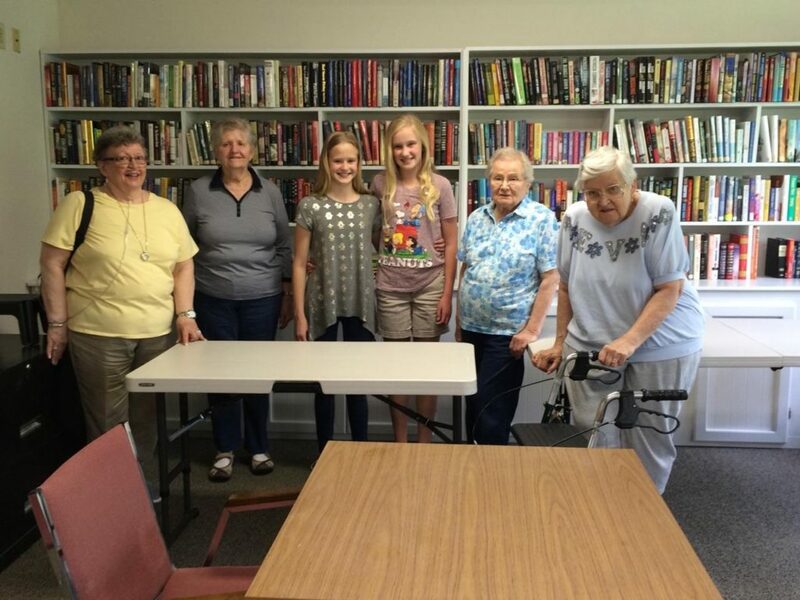 Many residents came to the Community Room to enjoy each other’s company, good food, and visits from volunteers of all ages. One of the volunteers, Kristin Vellano Skipper, put together a fabulous slide show of the event. Click below to see it! Thanks to everyone who participated!